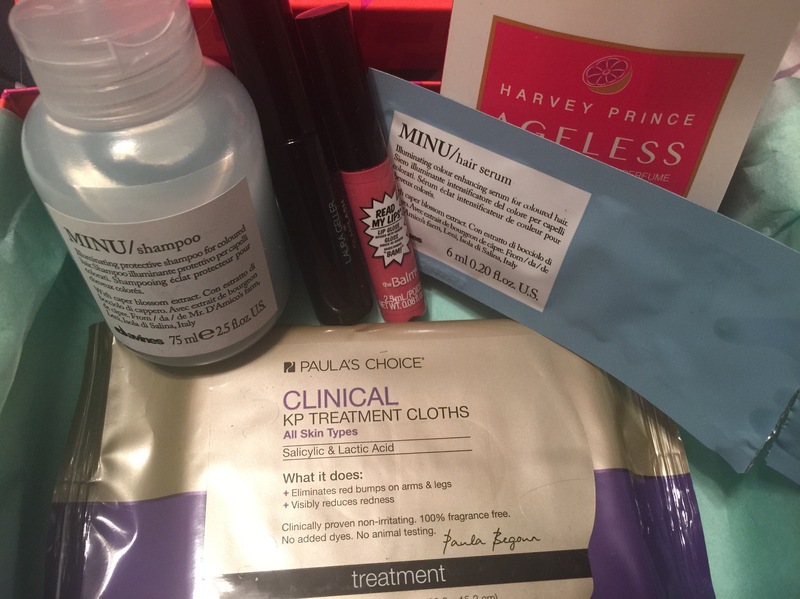 Last year I suspended my subscription to Birchbox because I became unhappy with the selection of samples in the box. Over the past few months I’ve been closely following what changes Birchbox has made, and I decided to give it another shot. I must say – this box was a great way to begin! I am a huge fan of theBalm since discovering their products from Birchbox ages ago. This color is ok – definitely more of a summer color, but I love the formula. I may be purchasing some other colors. I also discovered Paula’s Choice through BB, and it is another brand that I absolutely adore. I have yet to use these, and while I don’t have keratosis pilaris, I still want to see how they are on my skin. This is another mainstay brand, and I was thrilled to receive an LG mascara. I LOVE this mascara, which is surprising, because the brush is so itty bitty. Usually I layer on a few mascaras for the effect I like, but I love how this looks! I have yet to try this, and to be honest, I used to hate receiving perfume samples. I recently looked through my pile of them, and I have received over 4 different samples from Harvey Prince, so I wasn’t that excited. However, I want to test all of the perfumes for my blog, so this makes a great addition to the pile. I haven’t tried the shampoo yet, and I’m curious to see how it works. I have however tried the serum (hence the open package in the photos) and I’m not thrilled with the smell. But I have crazy hair, and am always looking to try new photos. I canceled my birchbox two months ago I felt like their samples were not that great but I’m very jealous over your box! Wow, we got totally different boxes, I feel like that never happens. Actually, I was supposed to get The Balm lipgloss but they forgot it 😦 I cancelled my subscription right before receiving it, but I’m more than willing to go back if I feel I miss it!